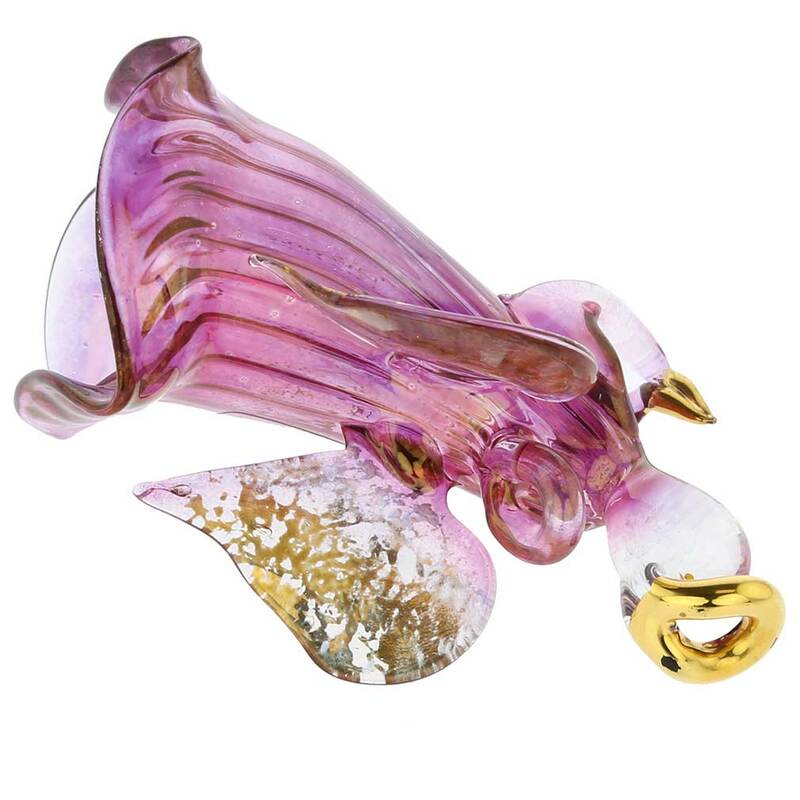 Christmas in Venice is very special and we are delighted to share with you a piece of Venetian Holiday spirit. 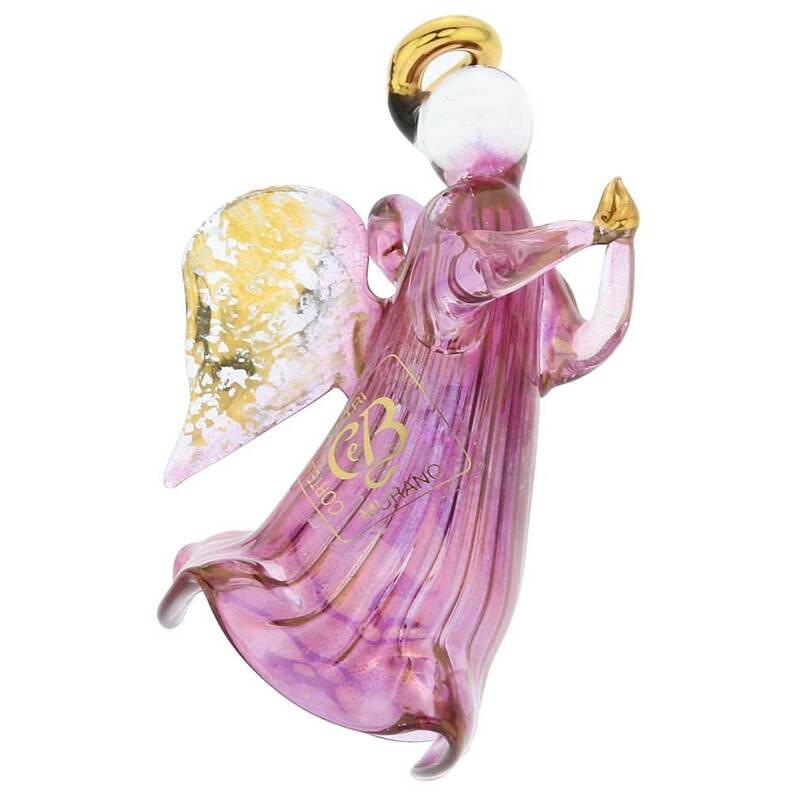 Bring home the colors and magic of Christmas along with the aura of the famous Floating City by dressing up your Christmas Tree with these amazing mouth-blown Murano Glass angel Christmas ornaments. 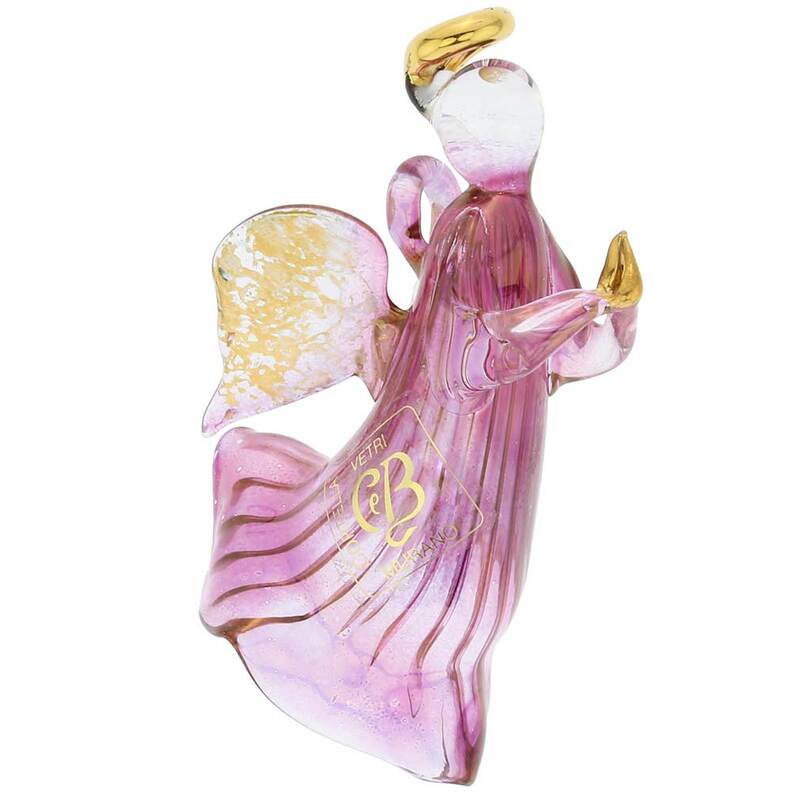 Featuring rich colors and sparkling genuine 24K gold foil infused in the glass, these meticulously handcrafted Murano Glass angels will make your Christmas Tree special during the Holidays and will become your family's unique keepsakes for years to come. 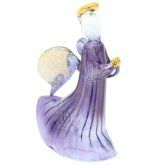 This Murano Glass Christmas purple angel ornament measures approximately 4 inches in height. 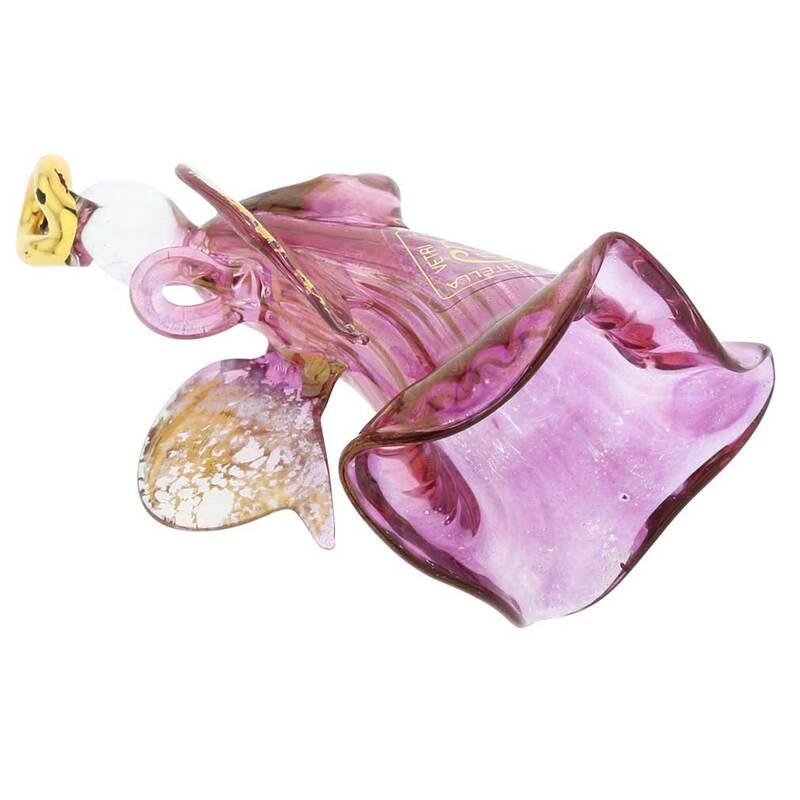 It features the attached sticker proving its Murano origin, as well as the certificate of authenticity. I love these angels, but this one won't stand up like the other one I have. I will return her and try again. 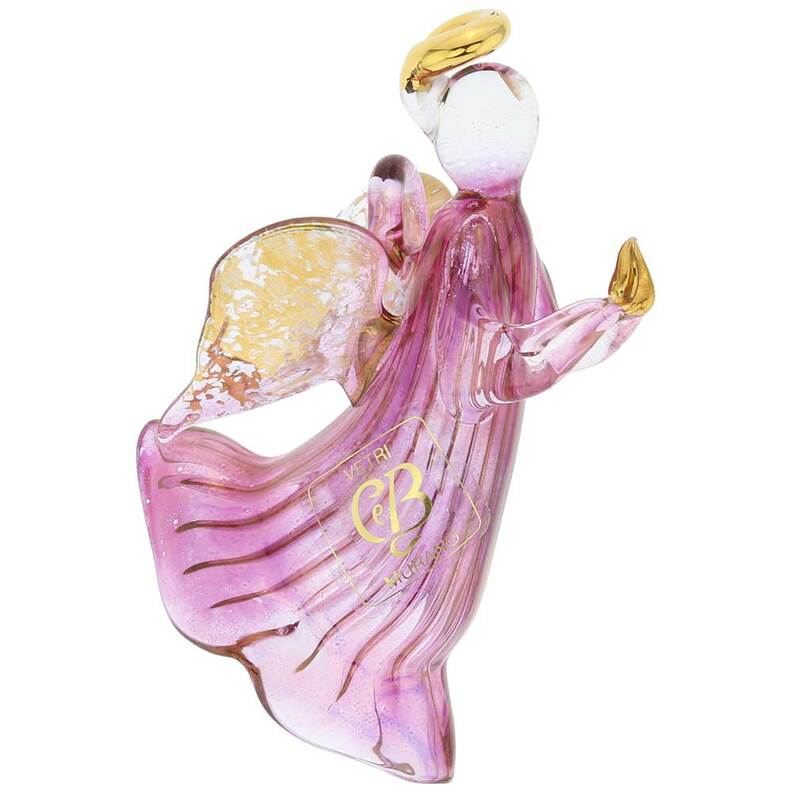 Stunning Angel Ornament. You have to see this to know the quality and beauty of this outstanding piece.